Add a trendy outdoor commercial light with the 12" Domed Shade Gooseneck Lighting Fixture. This sleek shade and gooseneck arm combination is ideal for contemporary businesses like a boutique storefront or restaurant. And with all-aluminum construction finished in rust resistant powder coated paint, commercial designers will know they're adding a dependable fixture. Order outdoor gooseneck lights online in a choice of 25 color options, 5 available at no additional cost. Standard lamping is incandescent and 12" Domed Shades are rated for a maximum of 200W. Back plates are designed to install with most standard 4" junction boxes. 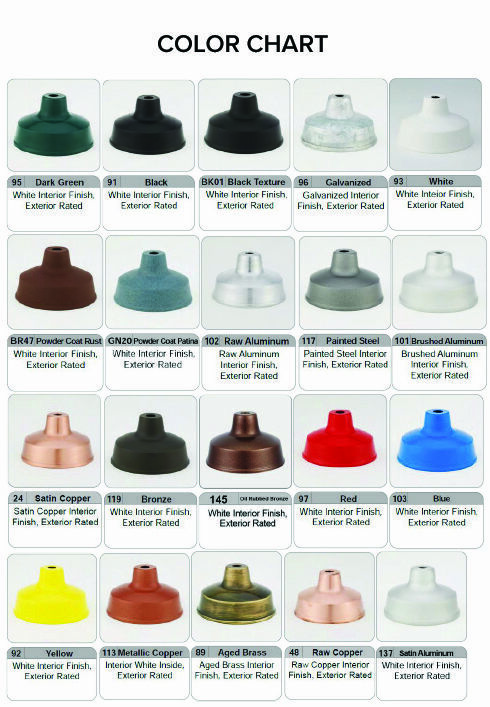 And gooseneck fixtures are UL Listed (US, Canada) for exterior use. To order non-standard lamping or add accessories, like adjustable swivel coupling, please call toll free. Sign Bracket Store offers made to order service and can also accommodate requests for metal halide, high pressure sodium, compact fluorescent and LED gooseneck fixtures. Please call for details and a price quote.